After I read Clockwork Angel by Cassandra Clare, I knew I had to continue the journey. I just had to find out more about Tessa and her mysterious ability to change into anyone, living or dead, just by holding something they owned. And what was the origin of the tiny titan, the clockwork angel, that seemed to come to life just in time to save Tessa’s? The Clockwork Prince picks up only a few weeks after the events of the last book. Charlotte’s grip on the Institute is tenuous in the wake of the discovery that Tessa’s brother had been a spy in their midst. The Council gives them only two weeks to locate Mortmain, the man who claims to have “made” Tessa and shaped her ability (not to mention he intends to marry her for a still as yet unknown reason). 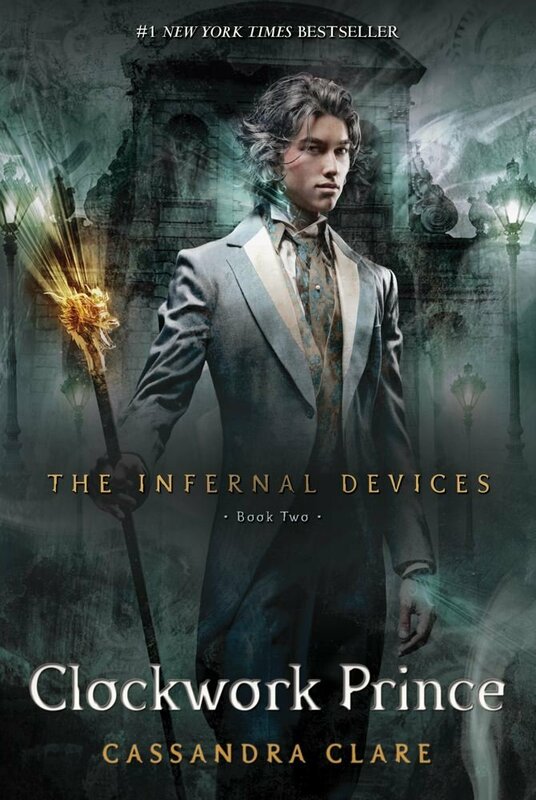 They may have recovered the volatile volume that gives warlocks the ability to bring clockwork to life, but Mortmain has already perfected his technique and it is only a matter of time before the clockwork army makes its move against the Shadowhunters. Their search for answers about Mortmain, not Warlock nor demon but a human with a vast web of downworld allies, takes them to the countryside. Will, Jem and Tessa don’t expect to find anything at his old homestead, but they are met with both an automaton with a warning and the past that Will has been desperately trying to flee. Somehow his family has become intertwined with the enemy, but a vow he made long ago makes him powerless to help them. I had a great time reading this book. There are a lot of teen romances out there, and even a lot of teen romances between teens with super powers, but I think Clare crafts and especially robust and heart rending narrative and weaves it throughout an exciting story in a way that does not feel at all forced. I didn’t get my questions about Tessa or the angel answered, but of course I didn’t really expect to, that is for the final installment 🙂 She does get to eliminate some possibilities, which makes me wonder even more what the truth will turn out to be. I will definitely be picking up the third book, The Clockwork Princess.